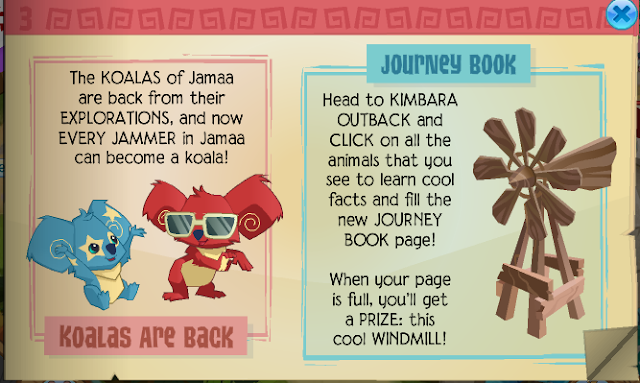 the oldest archived Jamaa Journal was released! It's... fairly boring. But hey, that was the beta for you. This wasn't a very major event. Heck, we don't even have the rest of the newspaper. However, it is the oldest image we have, and I think that's pretty cool. Kangaroos and Kimbara Outback! These were a big deal when they first released! Let's take this update page by page shall we? 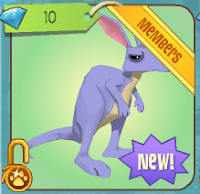 Kangaroos weren't the only new thing released this day though, there was also a new land! I was there for this update and Kimbara Outback was sooooo boring. All that you could do was the Journey Book, and that's it. The Medical Center and Outback imports opened later on. To get to Kimbara Outback, which was a real challenge at the time because the room was always full (We didn't have find open world back in those days), you'd probably use the world map. Except before using the world map your jaw would drop when you saw it had completely changed. There was a ton of backlash from the community towards the new map. I don't like it personally, except for that Coral Canyons was finally more than a tiny rock with stairs. 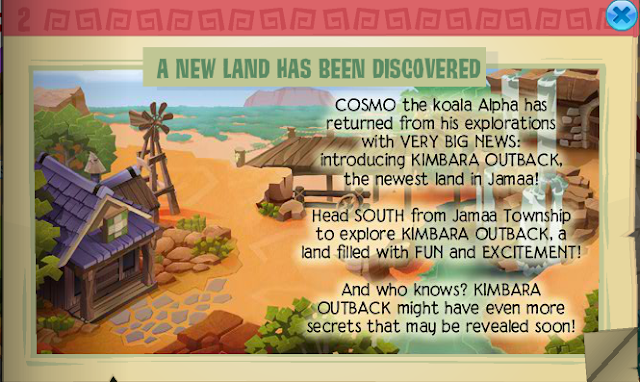 Koalas also returned in this update, because they had left to discover Kimbara Outback. 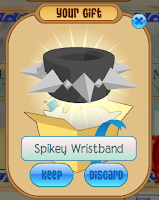 The new item for the day was the phantom shirt! Happy Jamming everyone! TiJH is going to be taking a small break but will return soon. As usual, Jamaa Journals come from here. That's all for today jammers! Join me next time as we take a look at AJHQ giving a certain land a makeover, something they've never done since. Happy jamming!